This object is now on display in the tokonoma. This is a type of water vessel carried by Buddhist monks in ancient times, and also used as a ritual implement in certain ceremonies. But this shape seems unusual to me. Both the narrow neck at the top and the small spout coming out from the side connect to the main body of the piece. Why was it made like this? 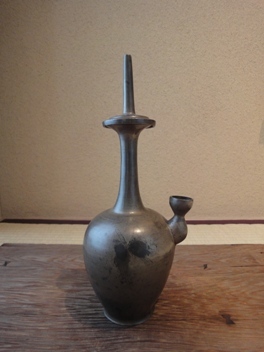 Vessels of this shape are called both senzan-type water containers (literally, "vessels of the immortals"), and also jōhei ("purification bottles"). Originally, they were carried by monks as portable containers for drinking water, with the small spout used for pouring and the opening at the top for drinking. There even remain traces of where a lid was once attached to cover the spout and prevent spillage when drinking. Containers of this type were also used to purify monks' hands as part of a variety of rituals. Its impressive form is clean, simple, and at the same time very practical. We hope you are well and enjoying the warmer weather of what seems to be a spring long overdue. From the 21st of May, London Gallery at the Shirokane Art Complex will be opening its latest exhibition, this time focused on Buddhist art. 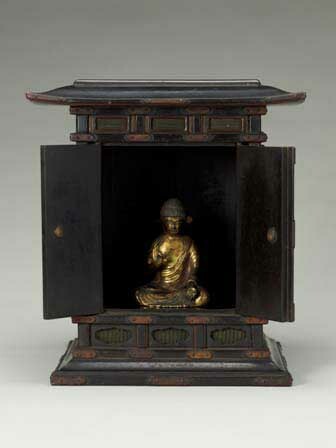 On display we have gilt bronze Buddhist sculptures from both Japan (Kamakura period) and China (Tang Dynasty). An opening reception will be held in the evening together with the other galleries of the Shirokane Art Complex (1F Kodama Gallery, 2F NANZUKA UNDERGROUND, 3F Yamamoto Gendai) from 6:00 to 8:00 pm. Thanks to all of your support, the Shuffle exhibition was a great success. Despite the earthquake less than one month before it opened and the electricity conservation that has followed, London Gallery had a number of first time visitors, all thanks to the efforts of Yamashita Yuji and the other galleries here at the Shirokane Art Complex. We would also like to express our gratitude to the newspapers, magazines, and internet sites that made the exhibition more widely known. Though many fans of contemporary art may not have as deep an interest in traditional art, we hope that you will continue to stop into the gallery without hesitation and look at the older objects we have on display here through the same eyes that you would view contemporary pieces. We are now in the process of rotating the objects on display, which will be ready for viewing as of the 14th of May. 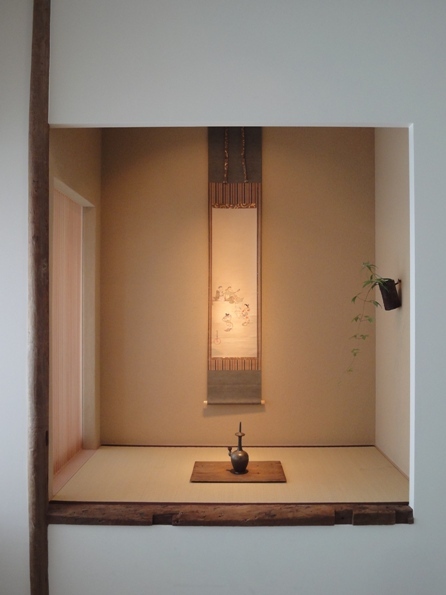 The opening reception for all galleries in the Shirokane Art Complex will be one week later, on May 21st. Please feel free to come by!